Upper Body having Insulated Two Steaming Chamber with Insulated Lockable Doors for Better Efficiency and save energy. Gas operated Boiler Provide for faster Generation of Steam Heat. Adjustable Nylon bullet feet to accommodate uneven flooring.Hygienic convenient and easy to clean. Upper Part Two Chamber made from AISI 304 with Insulation. Two door also made from AISI-304. 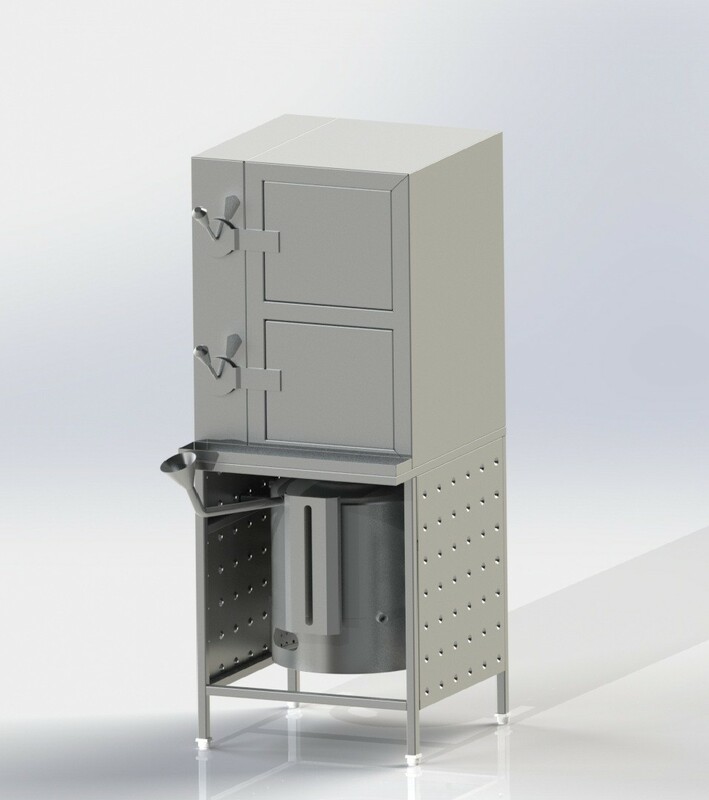 Boiler Construction made in AISI-304 14swg design to operate at 0.5 Pressure. 4 Nos. uprights are AISI 304 SQ. Pipe.